University of Denver will no longer require ACT/SAT: Is it time to dump the college prep tests? DENVER — The University of Denver announced Tuesday that will no longer require potential students to disclose their ACT and SAT scores. Those scores are now just "optional" for applicants, the university said. The change will take effect by the fall of 2020. 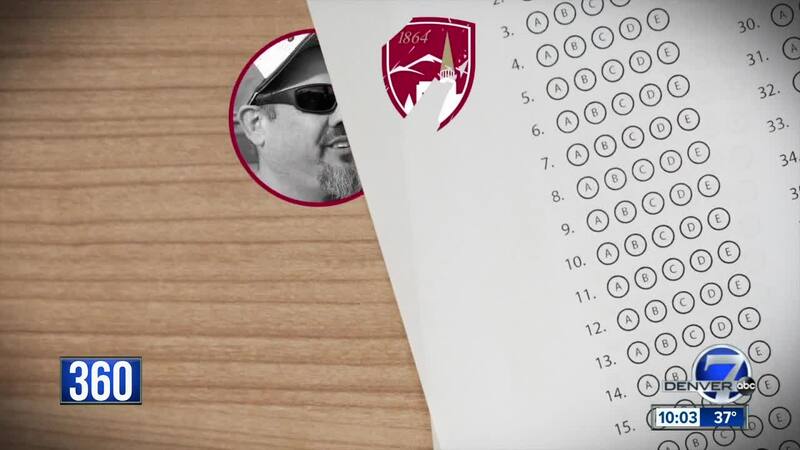 "There are about 1,000 colleges and universities that offer the test optional," said Todd Rinehart, the vice chancellor for enrollment at the University of Denver. Rinehart said the university has been studying the move for years. Schools such as Wake Forest and the University of Chicago have already made standardized tests optional for students. He said some families can't afford expensive standardized testing classes and prep. Eliminating this move levels the playing field. "This is more about my hard work," said Rinehart. Parents Jonah Olguin and Mike Villers disagree. "I think there has to be something to be able to judge throughout the country," said Olguin. They're joined on Facebook by several who commented the move smacked of political correctness. On the flip side, DU student Maddy Klasmat applauded the move. "I think it's a lot more about how you take a test rather than your intelligence," Klasmat said. South High School freshman Grace McClung agreed. Graduate student Shymala Kachaliya believes standardized tests can be culturally biased against people from other countries. "One test in one particular day cannot determine if a student is intelligent enough, brilliant enough or capable enough,” Kachaliya said. Both the University of Colorado and Colorado State University require the college prep tests for their applicants. Metro State University has a modified open enrollment, meaning any student over the age of 20 can opt out of giving ACT and SAT scores and instead substitute high school or GED grades.